I am not much into nail arts, infact really bad when it comes to nail art. But I love nail paints of all kinds, be it glittery, matte, glossy or anything. I have a huge collection of glittery nail paints too. 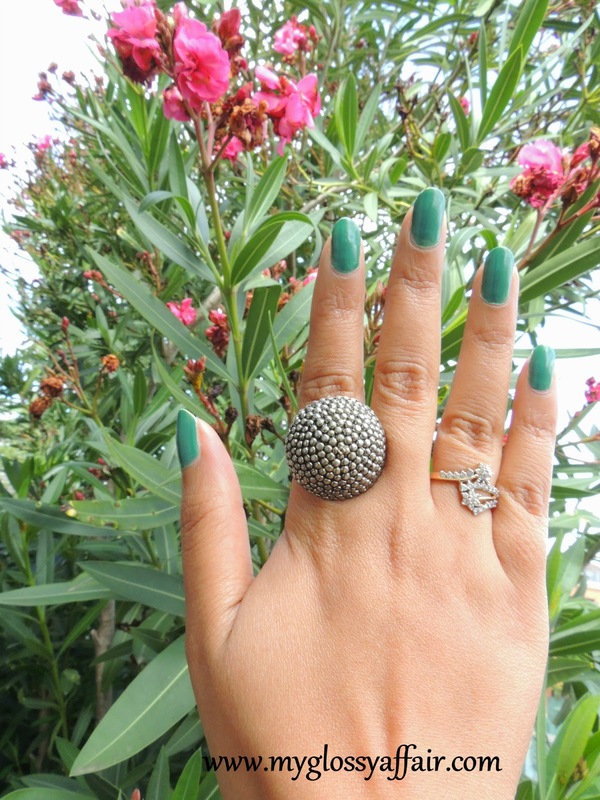 Whenever I feel dull, I apply a new nail paint and it does enhances my mood upto some extent. 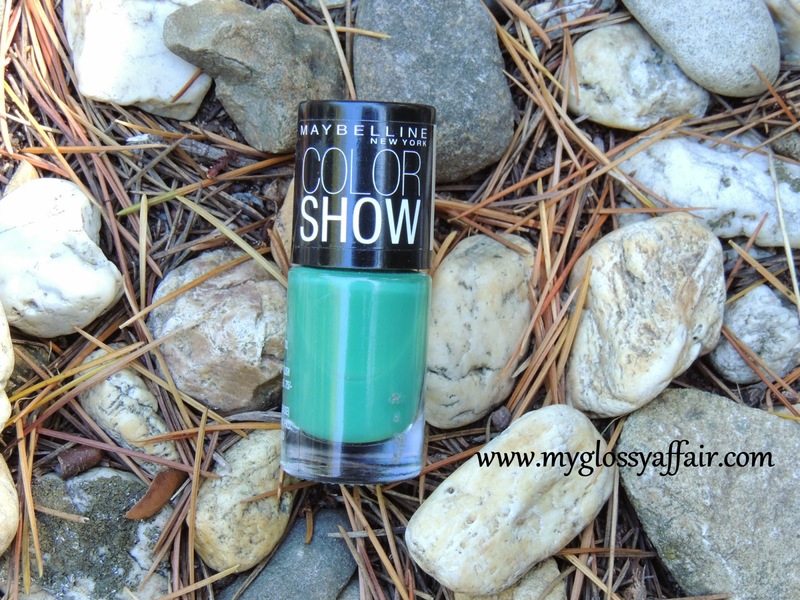 Lets get back to the review of Maybelline Color Show “Tenacious Teal”, which is a perfect green and a soothing summery one. 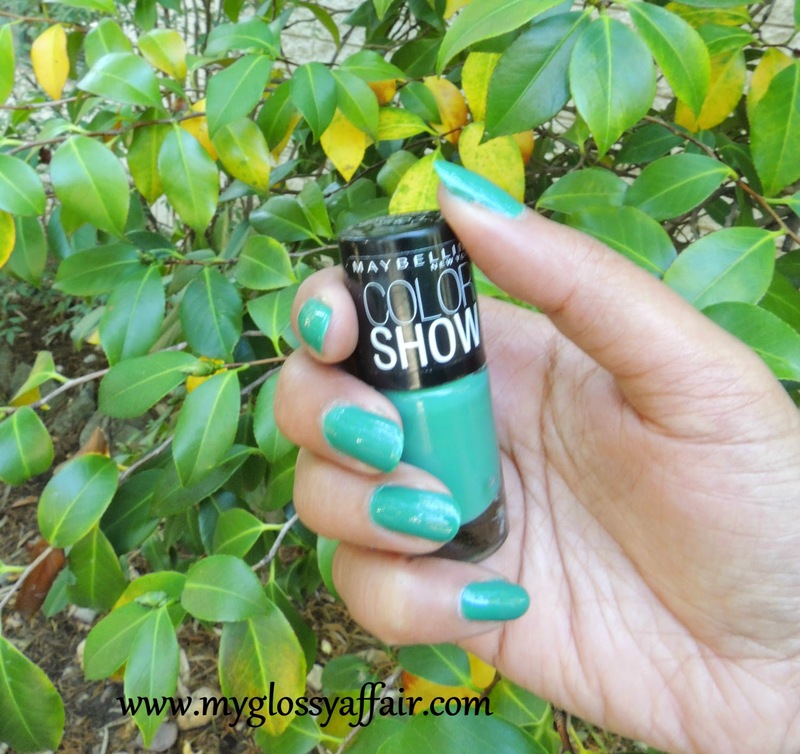 The fashion fix for your fingertips – Stay right on trend from your tips to your toes with new Maybelline Color Show. Our gel-based formula with color popping pigments comes in 40 bold, super stylish shades that look great on nails. So go on, mix, match and make the most of color. A small round bottle with black cap. Its really cute and travel friendly. Decent consistency, but its more on liquid side. For a perfect finish, apply two coats. The finish is full opaque and not see through. But it does leave my hands green after removing, until I wash my hands. Brush quality is nice and its easy to hold and apply. No hair straying here and there. Great. It stays on for full 3-4 days without any base coat or top coat for me. But with all household works, it will stay little less. In 75 bucks, I think its quite good!! Rs. 75/- for 6 ml. Lovely and soothing teal green shade. Gives a nice finish but a little streaky. Stays on decently for 3-4 days without any base or top coat. Opaque finish in 2 coats. Colour doesn’t show up in single coat. Such a pretty colour! 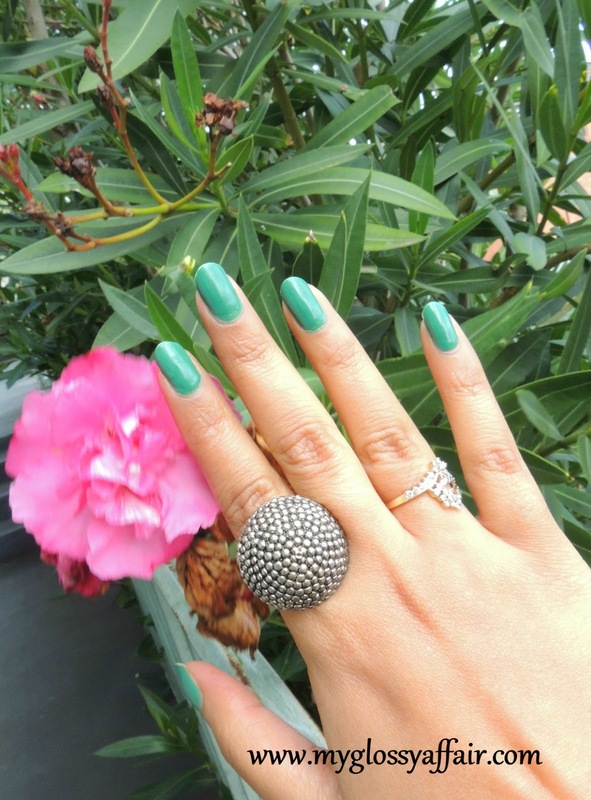 This is a great shade for summer…love it! Great color love the shade thanks for stopping by. In love with that Teal colour ! Perfect for the summer ! New Post – Lavender's Blue – Style..A Pastiche! Cute color! Looks lovely on you! That colour is so nice! I'm never that big of a fan of green, but this Jade green shade is always lovely. I not only like the vibrant shade. The ring is also included. 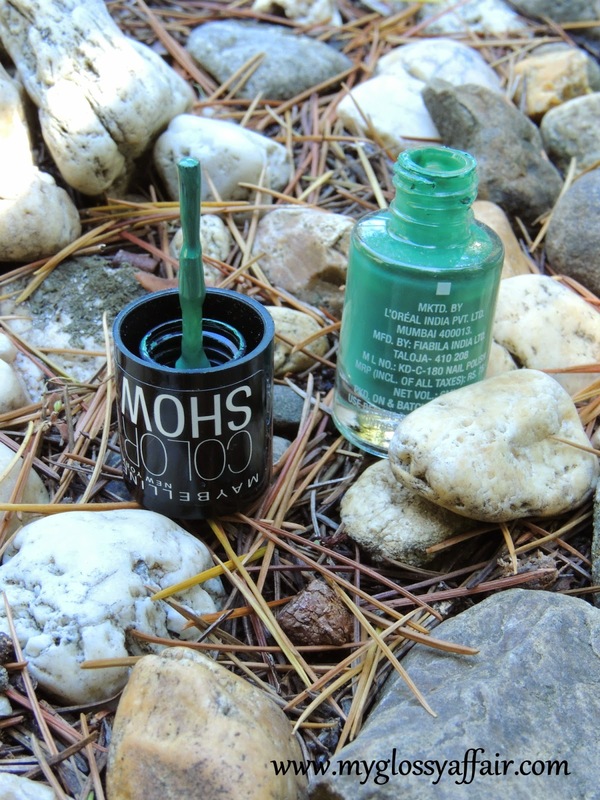 wow this shade looks great on your nails!